The benefits of sports massage are extensive. Research indicates massage therapy can reduce muscle tension, enhance athletic performance, help prevent injuries and more. To deepen your knowledge in sports massage, we have developed six online courses plus an in-person workshop. These courses can be taken individually, or together to count toward the AMTA/NCBTMB Sports Massage Specialty Certificate. In this 8.5 hour, hands-on workshop you’ll receive hands-on instruction from leading sports massage experts—including a shoulder injury case study. With a focus on utilizing critical thinking in client assessment, this workshop will help you learn techniques, contraindications, session planning and other valuable information to take your sports massage career to the next level. Washington, DC: Friday, August 10 with Lee Stang » This workshop is part of the AMTA 2018 National Convention. Stay tuned for additional regional workshops to be announced. 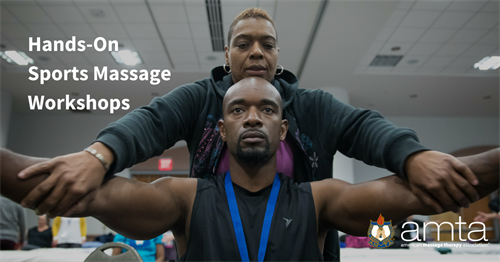 Join us August 9-11 in Washington, DC, at the largest massage therapy conference in the United States! 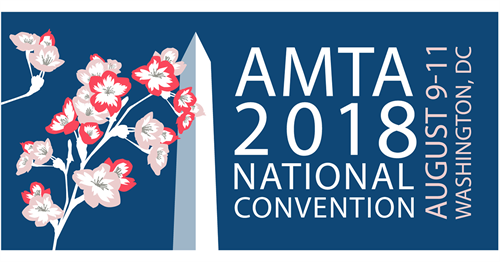 The AMTA 2018 National Convention offers over 30 continuing education sessions to choose from including sports massage. Attendees can earn 18+ rigorously-vetted continuing education hours.